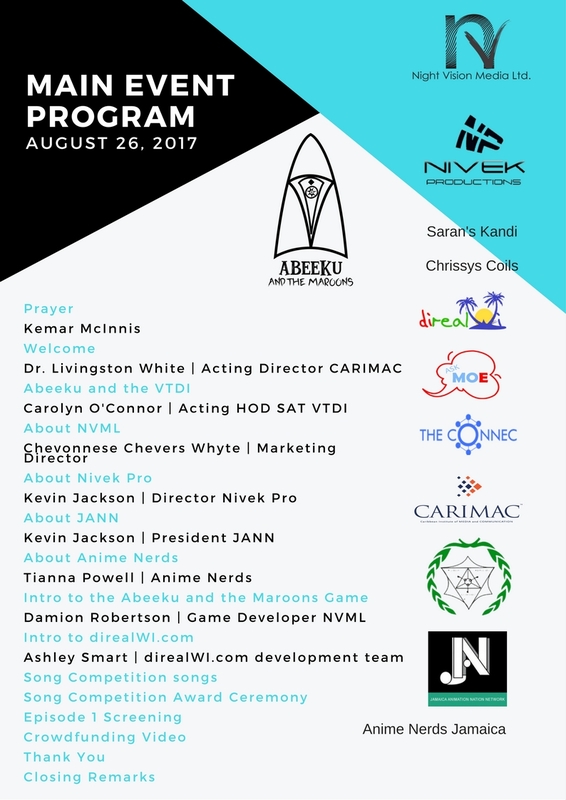 One day Kevin Jackson of Nivek Pro approached Chevonnese Chevers Whyte of Night Vision Media Ltd. with a project that he believed (and now we believe) will change Jamaica. We recognized that Jamaica was forgetting its culture and we wanted an entertaining way to bring it back. In comes Abeeku and the maroons. Our story is a series of five (5) minute episodes organized into five (5) seasons with thirteen (13) episodes each season. It chronicles the life of fictional character Abeeku who interacts with other fictional and sometimes historical characters. We start out with Abeeku and Abina attempting to escape from a plantation. In the midst of the escape, Abeeku loses contact with his sister Abina. He is discovered by The Maroons. With their assistance, Abeeku embarks on finding his sister and the story unfolds. 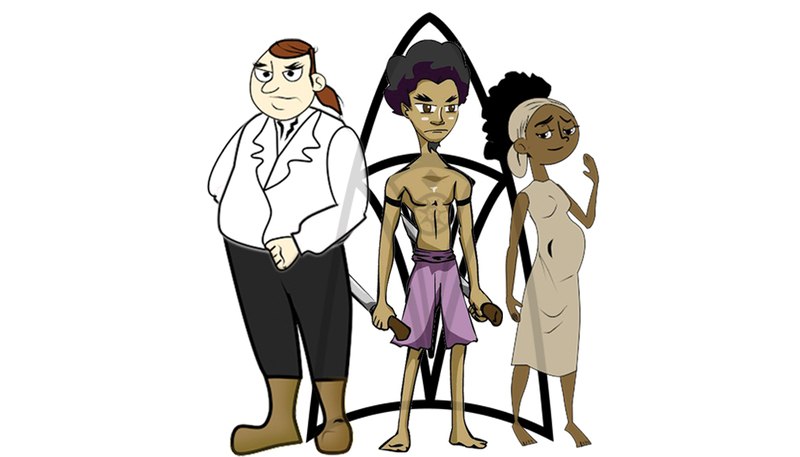 Three main characters are portrayed in our story: McNab the plantation owner; Abina a young girl in a strange world and pregnant; and of course Abeeku the lead. We explore each character and how they lend to the story. Join us and watch Abeeku and the maroons. Two (2) teenagers versus an established rich business owner. Who will prevail? How do their stories relate to one another? Take a behind the scenes tour of how Abeeku and the maroons is developed. See the team in action on how to move forward, what content will be used, and hear from the creators how they plan to bring the story to life. At the moment we have no distribution channels except for our YouTube playlist. Stay tuned to this website and our social media networks for more news on our distribution channel(s). We appreciate any type of donation that will assist in the development of the production. Your contribution can be: monetary, internship, processing power, or joining the team. Which works better for you? We are trying to reach the goal of US$500.00 per episode. Any assistance that you can provide will be greatly appreciated. Send applications to AbeekuSeries@nightvisionmedia.com to apply for internship at Night Vision Media Ltd. on the Abeeku and the maroons production. Be sure to set the subject of your email to "Abeeku and the maroons Internship Application." Let us know that you are willing to assist us with rendering completed scenes by emailing us at AbeekuSeries@nightvisionmedia.com. Be sure to set the subject of your email to "Assistance with rendering Abeeku and the maroons." Send a complete resume and link to your portfolio to contact@nightvisionmedia.com. Be sure to set the subject of your email to "Job Application."